What Happens At The Official Receiver's? What happens at the Official Receiver's office? This section covers the questions you are most likely to ask about what happens when you are asked to visit the Official Receiver's office. Telephone the Official Receiver immediately to confirm the appointment if you have not already done so or if: you have any infirmity, disability or other difficulty which you consider may require special facilities when attending his office; any matters need to be sorted out urgently; you need to rearrange the appointment; or you have a lot of paperwork or accounting records and need to have them collected. Fill in the questionnaire and make a note of any points you do not understand. Collect all the information you will need for the interview. This means financial details, including bank statements, and other paperwork about your finances. Do not ignore the Official Receiver in the hope that he will go away. He will not. If you do not co-operate, you may have to attend court to be questioned and could even be arrested if you still fail to co-operate. In a bankruptcy, you could also have your discharge from bankruptcy proceedings suspended, which would mean that your bankruptcy could last much longer than the normal three years. you should hand over all of your or the company’s financial records and papers. They will be examined and recorded then or at a later interview. The records will be kept by the Official Receiver. you do not turn up for any appointment. After the interview, the Official Receiver will check the information you have given. He will issue a report to creditors (and shareholders in a winding-up), setting out your or the company’s assets and debts. If there are material assets, he will seek the appointment of a private sector insolvency practitioner to act as trustee or liquidator to deal with the realisation and distribution of the assets. To do this, the Official Receiver will either call a meeting of creditors to enable them to appoint a practitioner or ask the Secretary of State to make an appointment. Otherwise, the Official Receiver will continue to deal with everything. The report to creditors will be issued, usually within 8 (but in any event within 12) weeks of the insolvency order. If a meeting of creditors is appropriate, it will usually be held within 12 weeks (but in any event within 4 months) of the insolvency order. You may be asked to attend the meeting of creditors. You will be notified if an insolvency practitioner is appointed as trustee or liquidator. You will need to help the trustee or liquidator to deal with your or the company’s affairs by giving your full co-operation. provide an account of all dealings in cash and goods. If you do not co-operate with the Official Receiver, he may also apply to the court for your public examination. This means you will be questioned in open court about your or the company’s affairs, dealings and property. 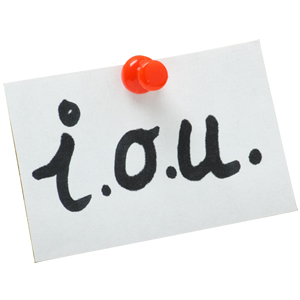 Your or the company’s creditors may also be there and ask questions of you as well. Under the insolvency and other legislation there are provisions about criminal offences and unfit conduct by directors. The Official Receiver will report to The Insolvency Service’s Headquarters if there seems to be evidence of criminality or unfitness. But the Official Receiver does not approach this task on the basis that every bankrupt and director has committed offences or is unfit - his job is to establish the facts. In the vast majority of cases, those facts do not suggest that it is in the public interest for criminal or disqualification proceedings to begin. Would an Financial Management Plan solve my problems?